What Do Technicians Do During HVAC Maintenance? 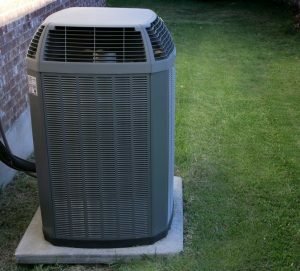 If there’s anything we tout the benefits of, a lot, it’s going to be New Braunfels, TX HVAC maintenance. Just as you get your car tuned-up on a regular basis, you should also have your climate control systems checked out and serviced as well. You wouldn’t want to be stranded in the middle of nowhere with a broken down car, nor would you want to be in the dead of winter without a working heating system. Temperatures don’t get as bitterly cold as other parts of the country experience, but it’s never a bad idea to have your heater maintained, no matter how briefly it may get used. And scheduling maintenance before you actually need to use your heater the most is the best way to ensure that you run into as little problems as possible. But what do HVAC technicians actually do during maintenance? Posted in Our Maintenance Plan | Comments Off on What Do Technicians Do During HVAC Maintenance? Temperatures might not be cooling down as much as they do in other parts of the country, but soon enough we’ll be able to give our air conditioning systems a little bit of a break and turn our attention to our heaters. Scheduling heating maintenance should definitely be on your to-do list, but that doesn’t mean you should ignore your AC just yet. When you think about all the work it goes through during our hotter months, it’s safe to assume it has accumulated some wear and tear. During this time of the year, your AC system can face issues with system malfunctions, or can perform inefficiently as you use it during the end of fall. We have some advice to share with you that can help your cooling system get through the warmer temperatures we have left. Read on to learn more about our San Antonio, TX air conditioning tips, and don’t hesitate to give us a call when you need reliable AC services!